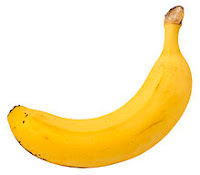 The average person consumes a total of 750 bananas in their lifetime. This statistic may be slightly skewed due to the fact that I have no idea how many bananas the average person consumes in their lifetime. However, in developing this statistic by simply pulling a random number out of the air, I have not made an outright fabrication of the facts. After all, it is 100% plausible that the number I picked is the correct one though it is not very likely since it is only a single number out of the vast, all-encompassing quantity of numbers commonly known as infinity. But then, we may refine our sample size from infinity to something more manageable by determining how many bananas are produced on the earth in a given year. Obviously, humanity can't eat more bananas than can be grown, so now were dealing with an infinitely smaller pool of possibilities for our average - yet there is still a hang up with developing a useful solution. What we've run into now is not a question of probability and calculation but rather a lack of man power. It is highly improbable (though not impossible) that every banana on the earth could be accounted for, even if all of humanity devoted itself wholeheartedly to that chief end alone. There are too many places on earth where bananas could hide. Even if we actually accomplished the improbable and found them all, we would never know it because we would have to continually search and question our results. The same would apply to the other variable in this equation; humans. There is no way to monitor the banana eating habits of the entire population of the world and thus no way to establish an average. People have different life spans too, in case you didn't know that. So, this all leaves us still with the unanswered burning question of how many bananas the average person eats in their lifetime. My guess of 750 is strictly based on a number that popped into my head once I realized that there was no way to measure these statistics with any certainty of their accuracy. There used to be a word for this, it was called a theory. However these days, if I were to present this idea in book form, and the scientific community accepted it as scientific fact; suddenly the fact that I have no empirical, consequential, or anything-else-ical evidence for my claim becomes irrelevant to the point. I am touted as a genius and my idea goes into text books across America so that the next generation can benefit from my superior intellect. Even when I renounce my own claim, citing that it is 'theory based on blind guess' the scientists suddenly do not pay attention. Fact: Bananas contain high amounts of Potassium (K) and are for all intents and purposes, banana-shaped. Theory: The average human consumes 750 bananas in their lifetime. Myth: Banana peels cause people to slip and fall.